One of the most absurd and dangerous ideas ever sold to the American people is found in the oft repeated slogan, “Our diversity is our strength”. We have heard this a lot lately with the push for open borders and sodomite marriage. A little reflection mixed with a little common sense quickly shows the fallacy of this cliché. “How can two walk together except they be agreed?” The problem is that it has been repeated so often and sounds so appealing that many if not most of our fellow citizens have accepted it as the gospel truth. Consequently, they are not too alarmed when the Democrat Party uses the many diverse groups that make up the American society to divide us into voting blocks designed to keep them in power. The Hallmark of the American socialists who make up today’s Democrat Party, is their success in dividing the American people into groups along racial, ethnic, economic and social lines, and then pandering to those groups through legislation designed to secure their loyalty in dependable, organized voting blocs. Often proponents of this tactic use the motto, “E Pluribus Unum”, Latin for, “Out of many, one,” inscribed on the Great Seal of the United States, to show that diversity has always been an American ideal. 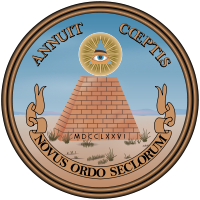 As is usual when progressives attempt to use language to support their causes, the motto on the Great Seal has a meaning opposite to what the left would have us believe. At the time it was adopted by the Continental Congress in 1781, it had nothing do with the population makeup of the thirteen colonies. Rather it was a graphic illustration of the unity of those colonies in their opposition to British tyranny under King George III. 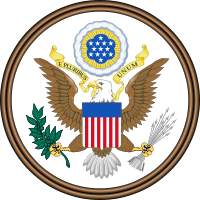 The Great Seal of the United States was officially adopted by the new Congress on September 15, 1789 when it ordered, “that the seal heretofore used by the United States in Congress assembled, shall be, and hereby is declared to be, the seal of the United States.” The motto inscribed on the seal became the unofficial motto of the U.S. until Congress adopted “In God We Trust” as the Nation’s official motto in 1956. U. S. coins today have both mottoes inscribed on them, one on each side. It is important to recognize that in the thinking of the Founders the emphasis was on the unity, “One”, not the diverse, “Many”. It was not diversity that supplied the strength to build the most prosperous and powerful nation on earth. Our unity was, and is our strength. When we lose that unity, we become correspondingly weaker as a nation. Neither does our history support the proponents of multiculturalism and diversity. There were several other colonies on the North American continent at the time of the Revolution in 1776. The largely French speaking colonies of Canada did not join in the Revolution or in the formation of the new government, although the Articles of Confederation made provision for their inclusion. Of course, the Spanish speaking colonies to the south did not participate, leaving the thirteen English speaking colonies along the Atlantic Coast from Maine to Georgia with one culture, one language and one God. It was the unification of this group that was illustrated by the Great Seal. In Matthew 12:25 Jesus spoke the self-evident truth that, “Every kingdom divided against itself is brought to desolation; and every city or house divided against itself shall not stand:” That will be America’s fate, if we continue to allow the left’s efforts to divide us to succeed, as it has been doing for the last several decades. We must reject the ideas of multilingualism and multiculturalism if we are to regain the liberties we have lost and once again take control of our government. That does not mean that we should reject immigration or that we deny the many blessings of citizenship to the diverse sub-cultures that make up our society. It means that new immigrants and the positive elements of the sub-cultures must be assimilated into the overall American culture, as they were by our forefathers during the founding and expansion of America for the first four-hundred or so years of our existence. America is a nation of former immigrants who wished to become Americans. America afforded them the opportunity and encouragement to do just that, and we must do so again or we will be brought to “desolation” and “shall not stand” as a nation.